Are you planning to buy a used car? Don’t take chances! Have pre-purchase inspection performed on your vehicle from Fineline Automotive and be confident about the car you are buying. When you are considering buying a previously owned car, you must determine not only the current condition of the vehicle but must also know how long it will run efficiently going forward. Having pre-purchase inspection performed by our skilled auto mechanics will let you know the exact condition of the vehicle and allow you to make a well-informed decision. All of our mechanics are certified, so you can be rest assured that your pre-purchase inspection will be conducted in a professional and efficient manner. 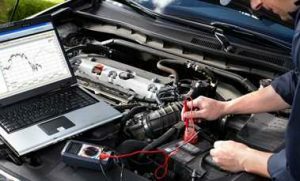 Equipped with the state of the art diagnostic tools and the latest technology, we perform a detailed inspection that involves pinpointing any problems your vehicle may have and recognising areas that need repairs. What Does Our Pre-Purchase Inspection Include? During the pre-purchase inspection, our mechanics examine the following parts and components. Once we complete the inspection of your vehicle, we will provide you with a detailed report on our findings and recommendations for any repair that your car needs. We provide unrivalled services to our customers. We are committed to ensuring that you are 100% satisfied with our service. We make you feel that you are in the most comfortable environment. Our pre-purchase inspection services are extremely affordable. Have peace of mind when purchasing your next car, we can help out with advice and we can perform a 150 point pre-purchase inspection and report. Phone now for a booking 03 9764 1655.